Nikki Billie Jean heads to Yale University as a featured artist in Africa Salon 2017. 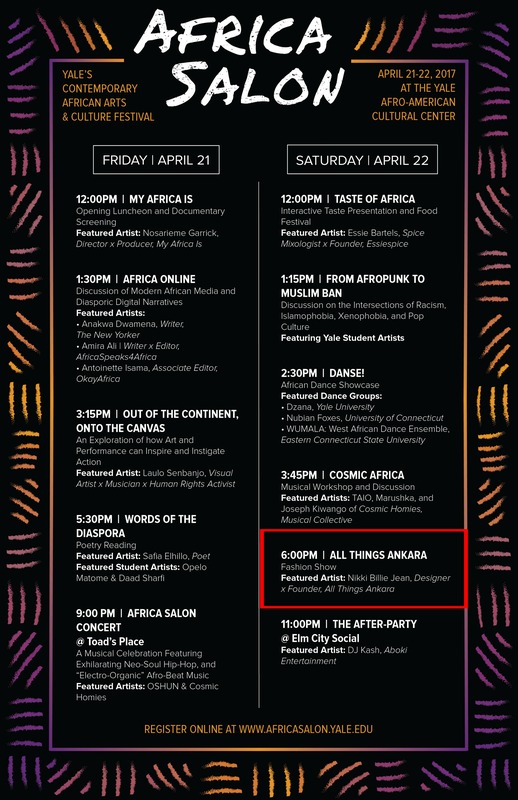 The third iteration of Yale’s contemporary African Arts and Culture festival will be a powerhouse two-day event highlighting art, poetry, dance, music, media and for the first time in AFRICA SALON history, cuisine! 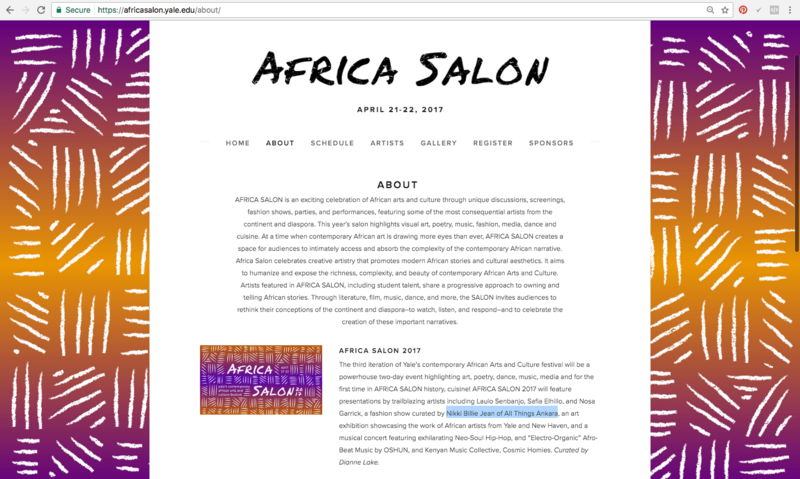 AFRICA SALON 2017 will feature presentations by trailblazing artists including Lalou Senbanjo, Safia Elhillo, and Nosa Garrick, a fashion show curated by Nikki Billie Jean of All Things Ankara, an art exhibition showcasing the work of African artists from Yale and New Haven, and a musical concert featuring exhilarating Neo-Soul Hip-Hop, and “Electro-Organic” Afro-Beat Music by OSHUN, and Kenyan Music Collective, Cosmic Homies. 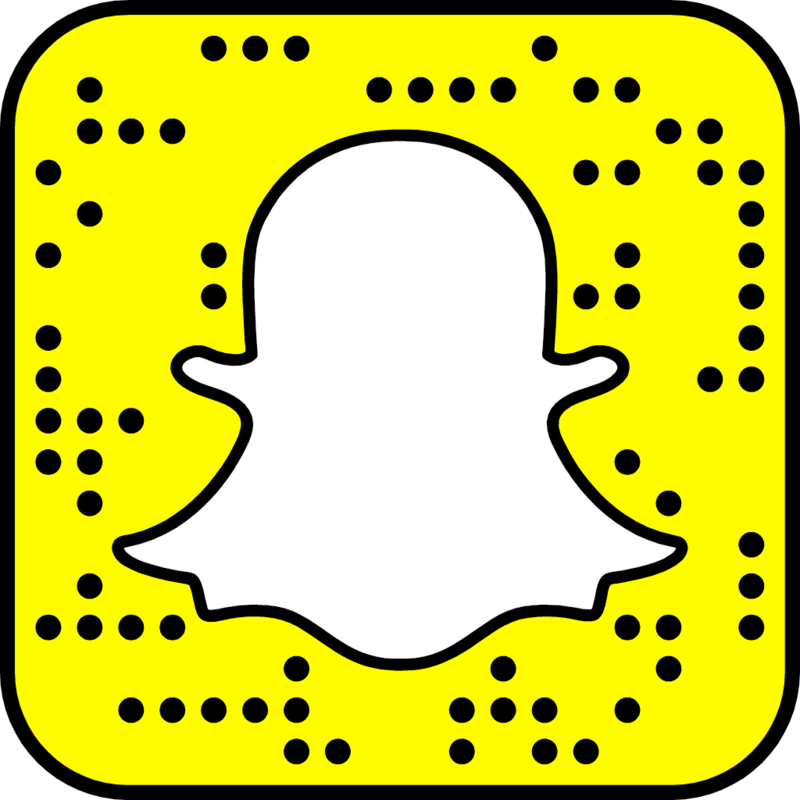 Curated by Dianne Lake.